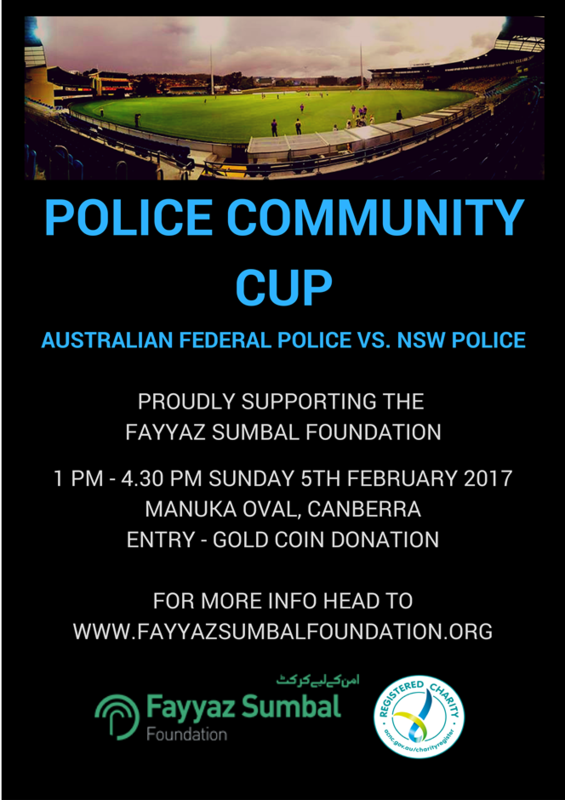 This year Fayyaz Sumbal Fundraiser Cricket Match will be held at Manuka Oval Canberra on Sunday, 5th Feb 2017. The match begins at 1pm and finish 4:30pm. The High Commissioner of Pakistan Her Excellency Naela Chohan will be Chief Guest of the event who will present the trophy at the conclusion of the match. All raise funds will be deposit for the distribution in families of Pakistani Police officers who martyred in the line of duty.